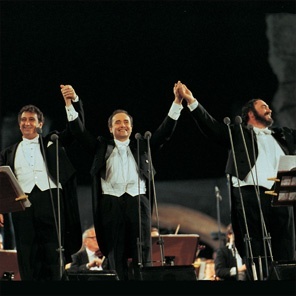 The Original Three Tenors Concert : Carreras, Domingo & Pavarotti, is the next program in the Music and Dance on Film series to be screened this Wednesday 12 October in Arts. This performance was recorded live on 7 July, 1990, the eve of the FIFA World Cup Final. 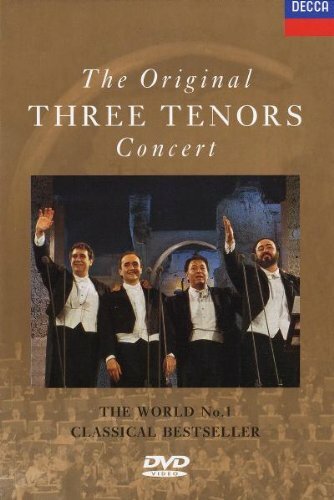 The three most famous tenors in the world joined forces with an orchestra of two-hundred musicians against a backdrop of ancient Rome, for an evening of arias, songs and medleys, before six thousand people at Caracalla and a live worldwide television audience of eight hundred million. The album has sold more copies than any other classical recording ever. The concert was also the first ever classical release to appear on DVD video. The program commences at 12.00 noon and concludes at 1.30 pm approx. It will be held in the Arts Listening-Viewing Room. Enter via the Arts Reading Room and Audio-Visual Centre (from Trescowthick Information Centre). Admission is free. No bookings required, but come early as seating is limited. Enjoy!